Home > News > Portland Street Honda Blog > Another successful year for the Race to 1000! Another successful year for the Race to 1000! 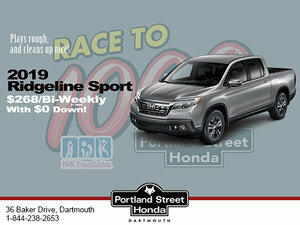 For the past four years Portland Street Honda has hosted its 120 day “Race to 1000” in support of the IWK foundation; with a portion of each vehicle sale being donated to the children’s hospital. With the generous support of our customers we have already donated over $200,000 to the IWK, and our hope is that this year's race will be the biggest and best one yet! 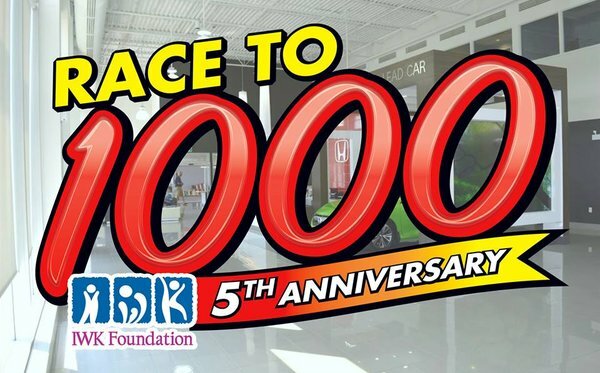 On June 2nd we celebrated the launch of our 5th Anniversary Race to 1000 and a renewed goal of donating $50,000 to the IWK Foundation. Also, be sure to follow us on Facebook and Instagram to stay in the loop about future events, contests and progress in our Race to 1000!